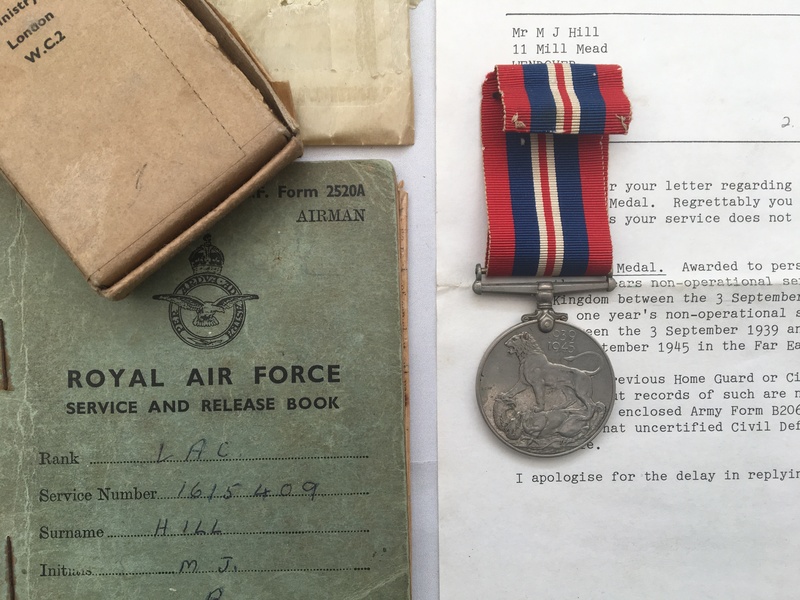 A WW2 medal to 1615409, Leading Aircraftman, Marcus John Hill RAF. Hill was born in January 1922 and enlisted in the RAF on the 13th May 1942 aged 20. He served with the RAF until the 1st October 1946. 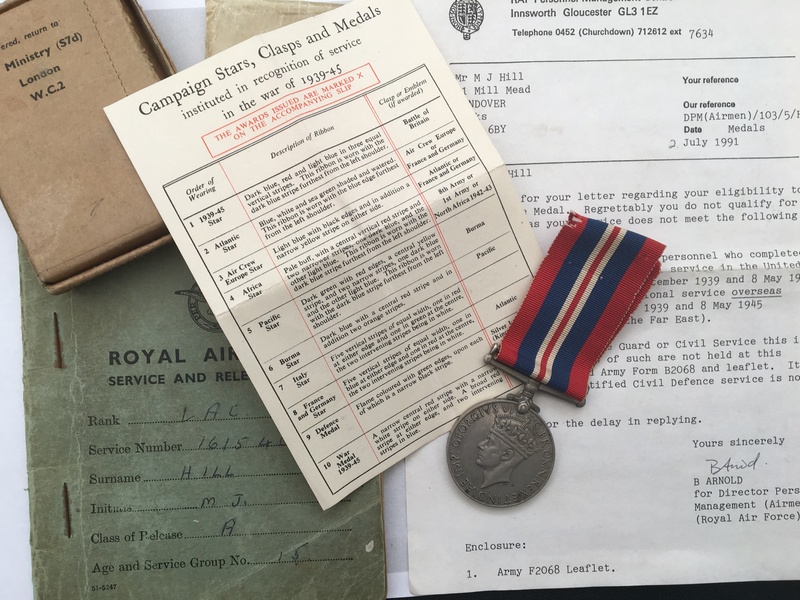 This listing includes his Royal Air force Service and Release Book, which clearly states that he ‘earnt’ the Defence Medal (as well as the British War Medal), however, his awards do not include the Defence Medal and looking at the dates he served, it appears that he ‘missed out’ by a few days. 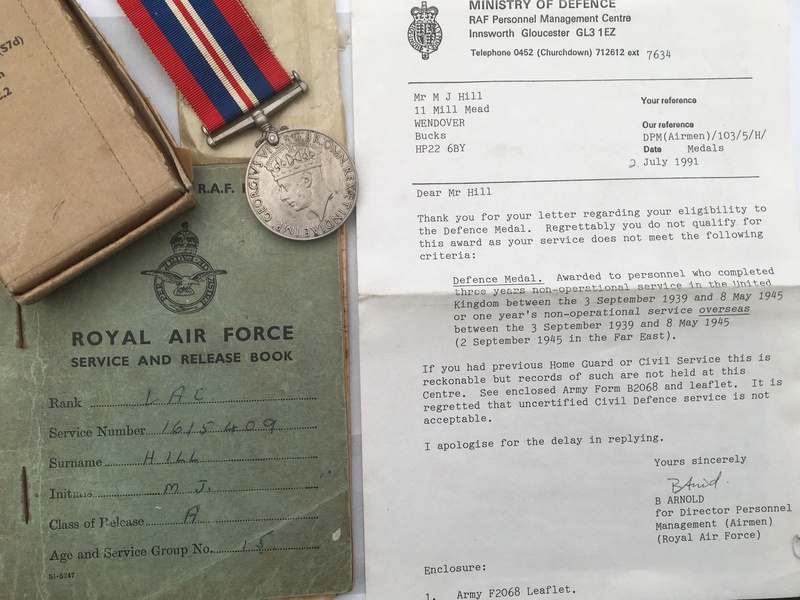 Included in this listing, is a letter from the Ministry Of Defence dated 2nd July 1991, responding to a claim that he has made in regards to a Defence Medal, confirming that his records exclude him from that particular award. The medal is loose within its original wax packet and box of issue and comes with an Air Council Medal Award Slip. I have undertaken no further research in regards to this man. Price £30 - please read the terms and conditions below.